I was so mentally exhausted from work when I went to bed last night, that for the first time in 40 days (and 40 nights, such a biblical time frame) I forgot to do this. Luckily I woke up at 3am with the sense of unfinished business lurking in my mind. Then I remembered I hadn’t done this and I can think of worse ways to pass the time while I drink my chamomile tea and wait until I feel sleepy enough to go back to bed. So far I’ve cleaned up the kitchen (my husband normally does it, but I’ll let him off because he did the bins last night) and had a look at my adored friend Jessica Adams’ brilliant astrology website. 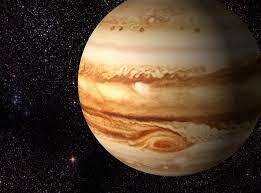 On there I learned what an interesting planet Jupiter is astrologically. Read it here. If you’re also interested in the astronomical facts about this planet, have a look at this. And now the sleepy feeling is here and I’m back off to bed.